The mammalian brain poses a formidable challenge to the study and treatment of neuropsychiatric diseases – owing to the complex interaction of genetic, epigenetic, and circuit-level mechanisms underlying pathogenesis. Technologies that facilitate functional dissection of distinct brain circuits are necessary for systematic identification of disease origin and therapy. Feng Zang’s group is developing and applying molecular and optical technologies for probing brain function in health and disease. They propose to develop a set of genome engineering tools to achieve precise modification of the mammalian genome in vivo. Leveraging the transcription activator like effector (TALE) technology they recently developed, they will develop a TALE nuclease technology to achieve targeted homologous recombination in the mammalian brain in vivo. This technology has the potential to significantly advance their ability to probe the function of distinct neuron types in the mammalian brain and their roles in neuropsychiatric diseases. 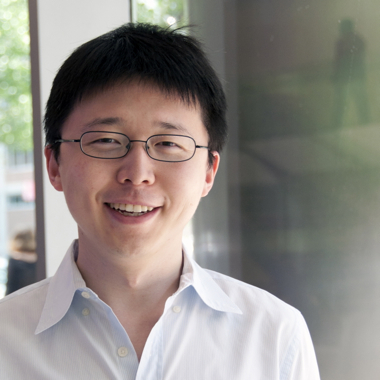 Feng Zhang is Assistant Professor of Brain and Cognitive Sciences and Biological Engineering at MIT, a Principal Investigator at the McGovern Institute for Brain Research and a core faculty member of the Broad Institute, and WM Keck Career Development Professor of Biomedical Engineering at MIT. Prior to his arrival at MIT, Dr Zhang was a graduate student with Karl Diesseroth at Stanford University and a post-doctoral fellow with George Church and Paola Arlotta at Harvard Medical School. Dr Zhang has received many awards including the Perl/UNC Prize in Neuroscience (2012, shared with Karl Deisseroth and Edward Boyden), the NIH Director’s Pioneer Award (2012), the National Science Foundation’s Alan T. Waterman Award (2014), the Jacob Heskel Gabbay Award in Biotechnology and Medicine (2014, shared with Jennifer Doudna and Emmanuelle Charpentier), and the Society for Neuroscience Young Investigator Award (2014, shared with Diana Bautista). He has also received technology innovation awards from the McKnight, New York Stem Cell, and Damon Runyon foundations. In 2016 he was a recipient of the Tang Prize, the Warren Albert Foundation Prize, and the Blavatnik Award. In 2018 he received the Vilcek Prize for Creative Promise in Biomedical Science, was elected to the National Academy of Sciences and the American Academy of Arts and Sciences, and was appointed a Howard Hughes Medical Institute Investigator.